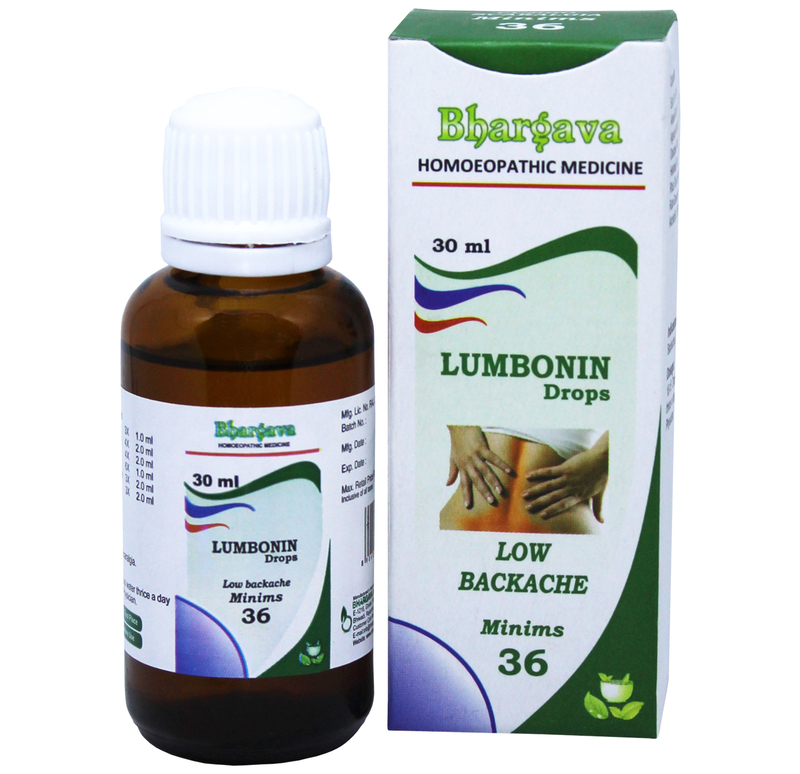 It is a homeopathic medicine that is taken to overcome lumbo-sacralgia. It provides relief from backache, lumbago, acute and chronic myalgia. Bhargava Lumbonin Minims is a result of techniques perfected over 100 years of practice. It is also helpful for backache caused due to overstraining, and stiffness in back. Start taking Homeopathic medicine today and get best treatment.